When it comes to accessorizing, cuff bracelets are one of my favorite statement pieces! I'm so pleased to have found The Shag Bag, who specialize in amazing cuffs and earrings. The Shag Bag has had over 850 Etsy sales, and are only a year and a half old- impressive! It's no wonder when the shop is filled with lovely jade, silver and turquoise. The Shag Bag is offering one Haute Whimsy reader a cuff of their choice. For a chance to win, please visit The Shag Bag and leave a comment here with your favorite item. I love them all! But if I HAVE to choose, I choose this one! I also follow Haute Whimsy. And I like The Sahg Bag on Facebook. I like the Silver cuff bracelet Asian style ornate design. I like the Shag Bag on Facebook. what a beautiful shop, love your items. I really like the turquoise cuff bracelet! These are all so lovely! I'd choose the Black cuff bracelet with Asian cherry blossom design. My favorite item is the Black Cuff Bracelet with Red Star Design. Lovely shop. I copied the link from one that especially caught my eye http://www.etsy.com/listing/55605308/silver-cuff-bracelet-black-crow-bird. Thanks for the wonderful giveaway. I like Shag Bag on FB (Suzanne Gregg). I follow Haute Whimsy's Blog. I love the Copper cuff bracelet Asian style ornate design, handmade copper jewelry by theshagbag on Etsy. I love the dark jade bracelet with black flowers! I love the Copper Pendant necklace with Asian motif, but I love all the cuffs too. The dragon cuff is pretty fantastic! I love the hand of fatima necklace! Thanks for the great giveaway! I love dark turquoise cuff bracelet with light pink Asian floral. It's so delicate!! I like the silver cuff bracelet. My favorite is the Antique jade cuff bracelet dragonfly. My favorite is the Silver cuff bracelet Asian floral blossoms design. So cute! I now follow Haute Whimsy. There are so many favorites that I have in this shop! This one is one of them. I love the Jade Earrings Asian Style! i like the silver cuff with black crow. I love the antique jade butterfly one! Love the style of the Antique Jade Bracelet Asian Style Floral Design. I like the Copper Patina cuff bracelet with Asian floral blossoms. I LIKE THE SILVER ASIAN DRAGON CUFF! The Silver cuff bracelet Japanese wave is gorgeous! I love the design -- it really makes me think of all those historic prints! I like Rose quartz cuff bracelet Asian floral, handmade jewelry by theshagbag on Etsy. I love everything but my favorite would be the black and white asian floral earrings. I wear a lot of black and white, so these would go with everything! I LOVE the "Men's dark turquoise cuff bracelet, rustic and distressed"
There are over a dozen I'd LOVE to have, but one is definitely the silver Asian dragon design. This is my favorite in the shop! And i follow the Haute Whimsy blog! Wow! I love "Antique jade pendant necklace Asian floral"
I like the Shag Bag on Facebook! Now I'm a follower of Haute Whimsy! i luv the brass cuff bracelet. I love the Turquoise bracelet Asian style floral design! I think the whole shop is my favorite! But if I have to choose just one item, it might be the Black cuff bracelet Asian floral patina, handmade bracelet. Thanks! i like the Silver cuff bracelet Asian floral, ^______^ wow i wanna win this. really love it! I love the Antique Ivory Asian Inspired cuff! The Antique Jade cuff bracelet dragonfly is my fav, thanks! I like the black chickenwire cuff. My favorite is the dark turquoise cuff bracelet with light pink asian floral design. I love all the cuffs! But I think my fave is the Black cuff bracelet, red star design. I love the Dark jade cuff bracelet with black floral design! Liked on Facebook (Emily "Chewsdottir" if you're checking names)! I follow Haute Whimsy blog. I have a plate set that nearly matches it! I like the asian style ornate cuff. i love the Silver cuff bracelet Asian dragon design! i follow your blog via GFC! i follow shag bag on facebook! I love the silver magnolia cuff bracelet shown - it's so pretty!! Thanks! the black bicycle cuff rocks! I love the Copper patina cuff bracelet Asian cherry blossom, thanks! There are some really nice bracelets. I would choose the Silver cuff bracelet Asian magnolia design. Christina - xristya@rock.com - I love the Black Cuff Bracelet Asian Floral Patina! 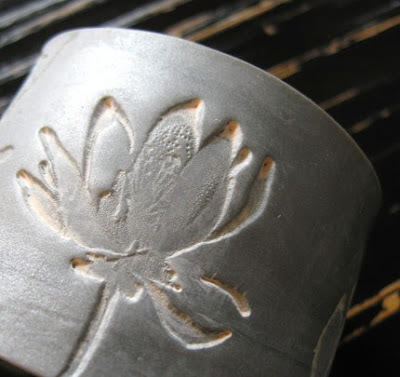 I like the Black cuff bracelet Asian floral patina best. I'm a turquoise girl, what can I say! wow, beautiful jewelry! I especially like the chocolate brown bicycle cuff. Ilike Copper Patina with Asian Flowers. I also like Jade, Rose Quartz and Chocolate. 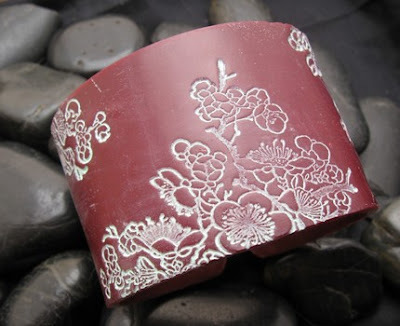 I love the Jade Cuff Bracelet Asian Style Cherry Blossoms - so pretty! i love this one: http://www.etsy.com/listing/55375336/antique-jade-cuff-bracelet-dragonfly ! all the cuffs are great but the Antique jade bracelet Asian style floral design, handmade jade jewelry sticks out to me the most. Great giveaway! I'd love to be entered. I like the Chocolate brown cuff bracelet Asian cherry blossom in pink, handmade jewelry by theshagbag on Etsy. Please count em in. Thanks. The Antique jade cuff with dragonfly is lovely! I love the Translucent aqua cuff bracelet Asian style dogwoood. Oh my- I love all of their cuffs! My fave is the Black cuff bracelet Japanese wave design. I love the Antique Ivory Cuff Bracelet, it's such an elegant piece, really very beautiful! Thanks for the lovely giveaway. I follow via gfc, thank you. i *really* like the Rose Quartz Style Asian Floral Blossoms Cuff. LOVE the colors! My favorite item is the antique jade pendant necklace. The silver cuff with the black asian floral design. My favorite is the Turquoise bracelet Asian style floral design. I like the Dark jade cuff bracelet with black floral design. Translucent lavender cuff bracelet - But what I like most is that you measure your wrist and send in the measurements so you get the right fit. I have fat wrists and would have been worried about it fitting. I like the Jade cuff bracelet Asian floral blossoms. My favorite is the Crimson wide cuff bracelet Asian style floral. Was very hard for me to choose as they are all great but i love the black cuff asian bracelet. I am following tea house designs on facebook. I like the rose quartz cuff bracelet. They're all so cute! But I'm absolutely in love with the Silver cuff bracelet Asian dragon design. I "liked" The Shag Bag on Facebook! Posted it on my Facebook! Super nice, but I'm eyeing the Jade cuff bracelet Asian floral blossoms, handmade jade jewelry! I like the Antique jade bracelet Asian style floral design.